Subject: FedEx Express Delivery Company -REPUBLIC OF NIGERIA See the Attach is scan copy of ATM VISA CARD with our envelope. FEDEX COURIER SERVICE REPUBLIC OF NIGERIA. ADDRESS:60, TOYIN STREET, REPUBLIC OF NIGERIA. FedEx: Shipping, Logistics Management and Supply Chain . . Shipping - Logistics Management - Supply Chain Management from FedEx Corporation: FedEx.com offers a complete suite of online services for shipment preparation . .
FedEx Express Courier Services Ltd.
A FedEx Express delivery truck, showing the dual branding-both " FedEx " and " Federal Express" -the company used from 1994 to 2000. Dear customer our delivery fee has been paid by Mr. Frank Alex so you don't have a problem with us. 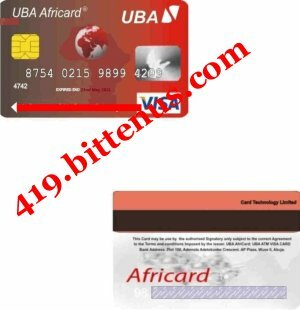 By tomorrow we will give you air bill receipt of the payment from Mr. Frank Alex did in our office regard you ATM CARD so we are talking about Assurance and security fees to enable your parcel delivery without have any problem of the Home land security so advice is to you arrange the fees which is $$188usd . Or you have to contact Mr. Frank Alex with is telephone number +23480-8267-7950, because we have already contact Mr. Frank Alex for this he give us go head and contact you because he don't have any money at hand any more. See the Attach is for our envelope and your Atm Card and with four documents inside which you we sign one and give it to our delivery Agent back to return back for the bank records . So we are looking to hear from you. Subject: FedEx Express Delivery Company Republic Of Nigeria See the Attach is for our envelope and your Atm Card Which if we not hearing from you today this we be cancel. i can see your not interesting to receive your ATM VISA CARD so we should send it back to the bank and tell them that your not interesting. Because keeping silence in business is not okay. So i am looking to hear from you.